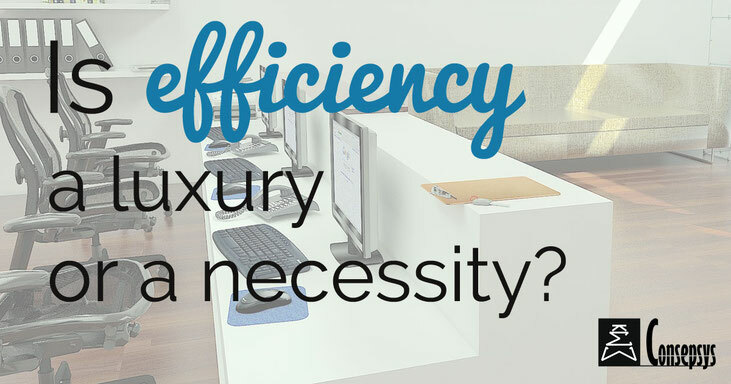 Is Efficiency a luxury or a necessity? Understanding the concept of "Loss of Opportunity"
Many professionals do not appear to realise that a lack of efficiency is costly to their company. Many professionals do not appear to realise that a lack of efficiency may in fact directly threaten their job. This may appear very vague and abstract, therefore let’s take a concrete example to pragmatically illustrate this premise: let’s analyse the efficiency of two competing coffee shops. In our first example, we observe an efficient coffee shop. It has 4 employees: 1 employee at the cashier, 1 employee interfacing with customers, 1 employee preparing orders and 1 employee keeping the shop clean. 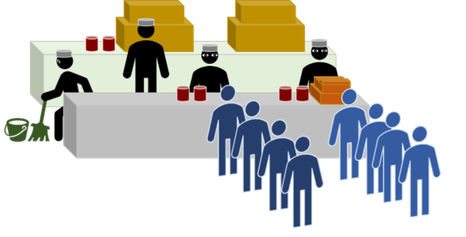 We can observe that there are two lines of customers: 1 line with people placing their orders of waiting to place their orders; and 1 line with people who have placed their orders and who are waiting to pay. The flow of customers appears steady. This is an efficient operation. In our second example, we observe a struggling coffee shop. It also has 4 employees. However: 1 employee interfaces with customers, prepares orders and holds the cashier; 3 employees focus on cleaning the shop. We can see that the flow of customers is bumpy and, in fact, 5 potential customers are leaving (in red) because they are not happy with the speed of the service. In addition, they can see that there are 4 employees and that the service could be faster if employees were more efficient and if they better managed their priorities. These leaving customers will probably go to a competing and more efficient coffee shop. What will eventually happen to this inefficient coffee shop? It will become an empty coffee, as it is shown in our next example. In our last situation, we are in an empty coffee shop. It used to have 4 employees. However, because it was very inefficient, their customers gradually stopped coming because they were not happy with the speed of the service. Eventually, the shop did not make enough money to keep all 4 employees. 3 employees were asked to leave and only 1 has stayed. However, sales kept dropping because the operation was very inefficient with only 1 employee but, also, the shop could not be kept clean for lack of sufficient manpower. Eventually, the shop had to close to stop making financial losses. In our first two examples, there were 4 employees in each shop. However, one shop was efficient and the other one was not. The inefficient coffee shop, through its inefficiency and its poorly managed priorities, suffered what is called a ‘loss of opportunity’: indeed, if it had been more efficient, it could have had the opportunity to make $240 per hour instead of $90 per hour. Because it was inefficient, it lost the opportunity to make $150 more per hour. As a result, its sales were lower than the salaries paid to its employees and its overheads and it eventually had to let go of some employees. In the end, it even went bankrupt. Document Control professionals need to realise that, just as in the above coffee shop examples, a lack of efficiency makes their company lose opportunities. These losses all eventually become financial losses and they weaken the company. Something that is often heard is that ‘inefficiency does not cost more to the company because it has the same number of employees. 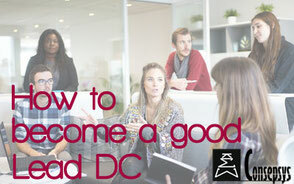 There would be more costs if the company hired more employees’. This is where good Document Control professionals must keep the example of coffee shop #2 in mind. With the same number of employees as coffee shop #1, coffee shop # 2 made $150 less per hour (or 62.5% less). The resulting ‘cost’ of an inefficient Document Control is a ‘loss of opportunity’: the funds that the company invested in this inefficient Document Control have effectively been lost. The company has invested in something that has given disappointing results. This money is gone for good, whereas it could have produced more results – if Document Control had been more efficient – it or could have been spent in something else that would have made more money for the company. 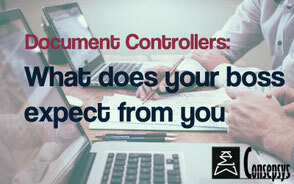 With an inefficient Document Control, eventually the financial performance of the company drops, or a manager realises that the results obtained from Document Control are disappointing compared to the initial expectations. This manager may decide to let go of one or more Document Controllers. 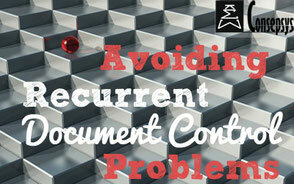 We have seen how Document Control inefficiency is costly to a company and how it may directly threaten jobs. We have seen that inefficiency leads to a ‘loss of opportunity’. What about you? Tell us below how you ensure that you work efficiently. What does your boss expect from you?